Imagine wide, open landscapes, turquoise lakes, snow-capped mountains and ancient forests. Welcome to Patagonia. It is easy to understand why this area of the world, despite being remote, is a favourite amongst tourists. I spent three weeks travelling around the region, going from Chile to Argentina and back again. I saw the landscape on foot, through a bus window and from a plane, watched guanacos as they jumped past and stood perfectly still so as not to scare the penguin that was crossing my path. 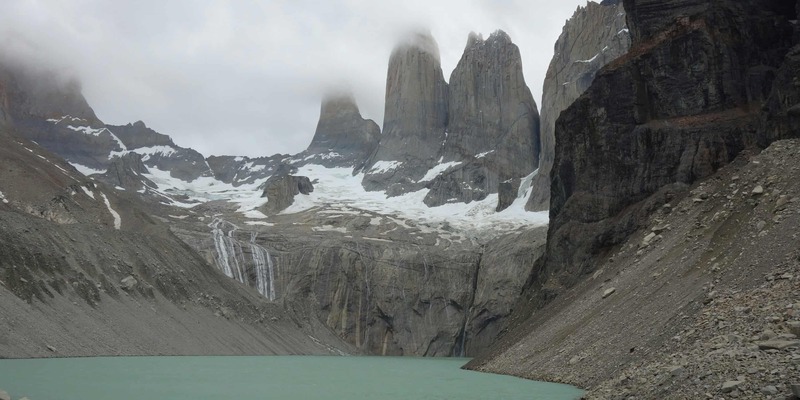 Torres del Paine is one of Patagonia’s most famous national parks. In fact, the W hike you can do here is amongst the most famous hikes in the world. You will need to plan and book in advance, but in return, you get to see turquoise lakes, glaciers, forests and wild orchids. The W hikes takes four days, but if you don’t have that much time, you can also do a day hike. From the park entrance, it is possible to hike all the way up to the Mirador de las Torres and back again. And if you have more than just four days and want to enjoy Torres del Paine as much as you can, enquire about the O or the Q hike. These ones take longer than the W, because you will be circling around the mountains that you walk past on the W hike. Perito Moreno Glacier is one of the most stunning sites in Southern Patagonia and can be visited on a day trip from El Calafate. Wooden walkways allow you to see the glacier from a variety of angles and if you like, you can also do a boat ride to get close to it (though not closer than on the boardwalks). 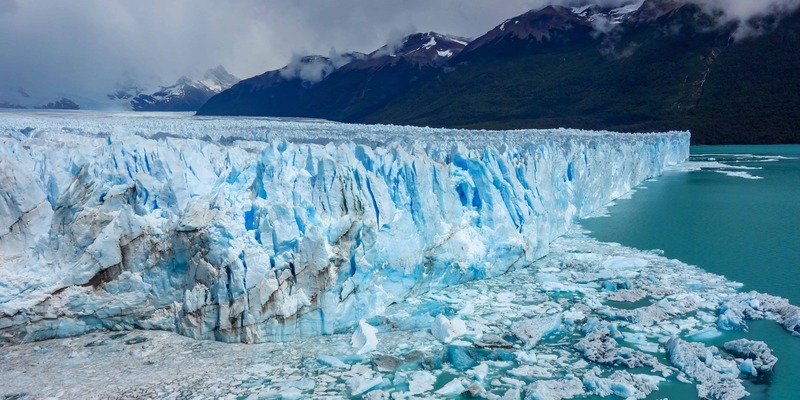 Glaciar Perito Moreno is the longest (but not the largest) glacier in Argentina. At its end, which is where you’ll be standing, the ice still has a maximum depth of 70 meters. If you stay there long enough, looking at the glacier, you are almost guaranteed to hear the ice crack, with huge chunks falling into the water. The cheapest way to get to Perito Moreno is to take a bus from the bus terminal in El Calafate. There are lots of busses available, but to be on the safe side, it pays off to buy the ticket one day in advance. The island at the southern tip of Patagonia is called Tierra del Fuego. While it is divided between Chile and Argentina, most tourists only visit the Argentinian side. Here, you can find Ushuaia, the world’s southernmost city, and nearby Tierra del Fuego national park. Hikes in this national park offer a view of the Beagle Channel, of ancient forests, blue lagoons and fast-flowing rivers. 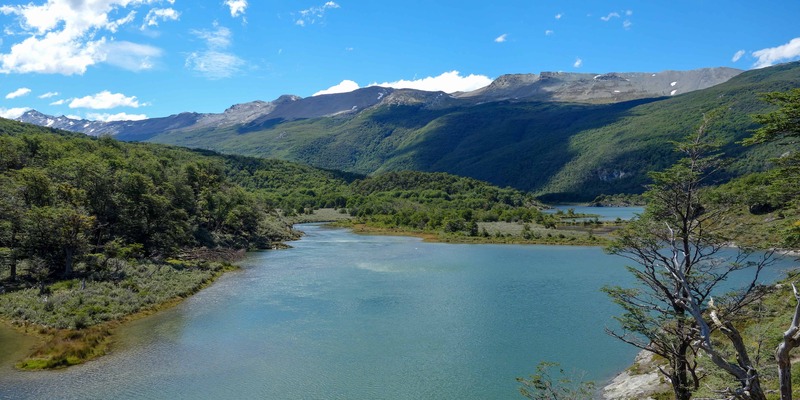 While there is not a huge biodiversity (until the end of the last ice age, this place was covered with 1200m of ice), many of the species found here are unique to Tierra del Fuego. A delicate ecosystem has developed over the past couple thousand years and this is your chance to walk through it. We hiked along the coastal path, a hike of eight kilometers that follows the Beagle Channel. Along the way, we saw beaches, bays and even a couple of eagles. I can highly recommend this hike, but if you are interested in seeing more of the national park, inquire at the tourist information about the other paths. If you even remotely like wildlife, you are going to love the penguins on Isla Magdalena. 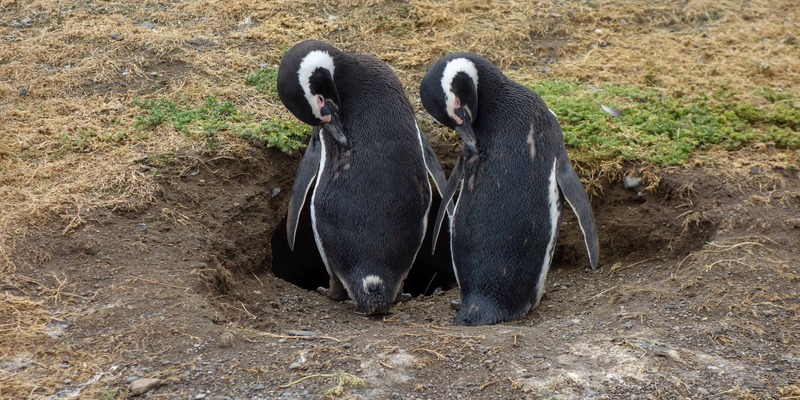 Each year in spring, they travel from the south coast of Brazil (which is more than 4000km away) to Isla Magdalena, to build their burrows and raise their offspring. Now that’s quite an effort to find the perfect nesting spot! Boats to Isla Magdalena leave from Punta Arenas. The trip to the island takes around two hours, after which you have one hour on the island to observe the thousands of penguins. I would love to give you numbers, but the internet is ambiguous about how many animals live here. Maybe a hundred thousand, judging from the numbers I saw? In any case, it is a lot and I promise you won’t be disappointed about not seeing enough penguins. Plus, the animals are not shy and will come walking close to you, so you are guaranteed to get brilliant pictures. Located about three hours away from El Calafate, El Chalten has quickly developed into the hiking capital of Argentinian Patagonia. 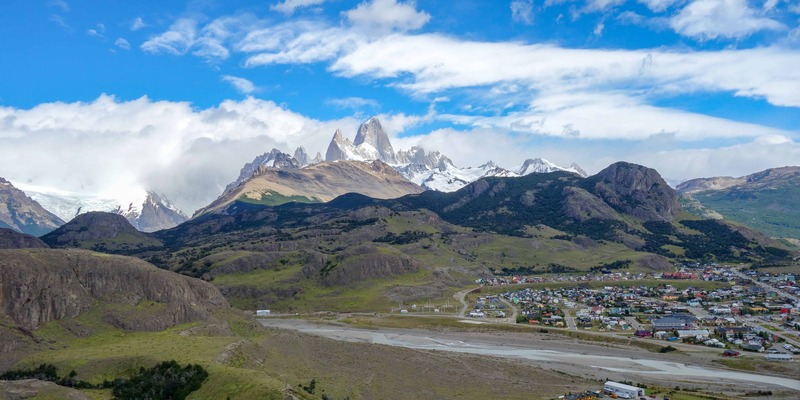 The nearby Fitz Roy mountain range offers many trails, from short hikes to viewpoints over the Patagonian steppe to long day-hikes that take you all the way up to lagoons and brilliant mountain views. If you are looking for a challenging hike, both the walk to the Laguna Torres and the Laguna de los Tres are supposed to be stunningly beautiful. In case you only want to go for a shorter walk, both the Mirador de los Condores and the Churillo del Salto are worth hiking to. They take between one and two hours. The former gives you a great view over El Chalten while the latter takes you to a waterfall north of the village. The world’s southernmost train once transported prisoners from Ushuaia into the woods and back again. Convicts had to sit on wooden benches and were taken into the forest where they had to chop down trees for firewood. After the prison in Ushuaia closed, the train fell into disrepair. It wasn’t until the beginning of the century that restauration began. 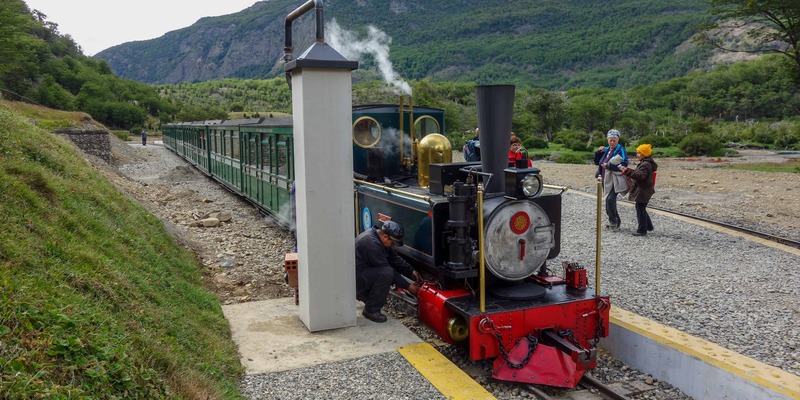 These days, a steam train takes visitors along the last eight kilometers of tracks into the Tierra del Fuego National Park. A commentary in English, Spanish and Portuguese as well as a brochure explain about Ushuaia’s history as a convict colony. The ride there takes about one hour (including one stop) and at the end, you can either explore the national park further or go back to the train station. I have already mentioned the penguins on Isla Magdalena but Patagonia has so much more wildlife to offer. It is hard to believe that anything would want to live in this windy steppe, but if you look carefully, you can see guanacos jumping across fences, flamingos fishing for crabs in those impossibly blue lagoons and condors circling above the mountains. 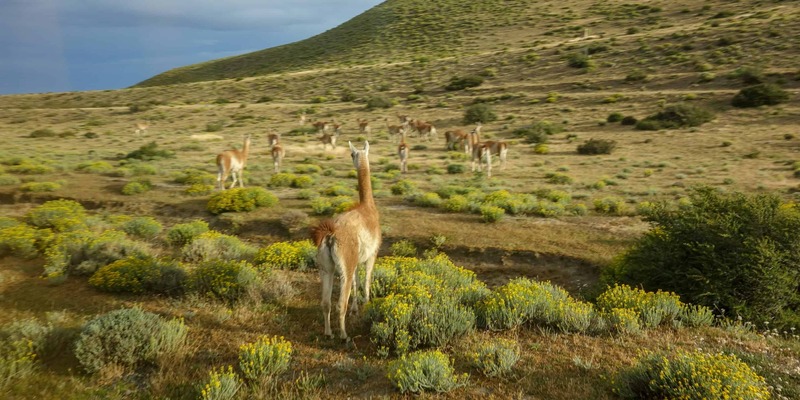 I saw guanacos all over Patagonia and chances are high that, if you take a bus or go for a drive somewhere, you will be able to see them. Flamingos like to flock together in the Laguna Nimez near El Calafate and I saw a condor cirling above my head both in Torres del Paine National Park as well as at Perito Moreno Glacier. 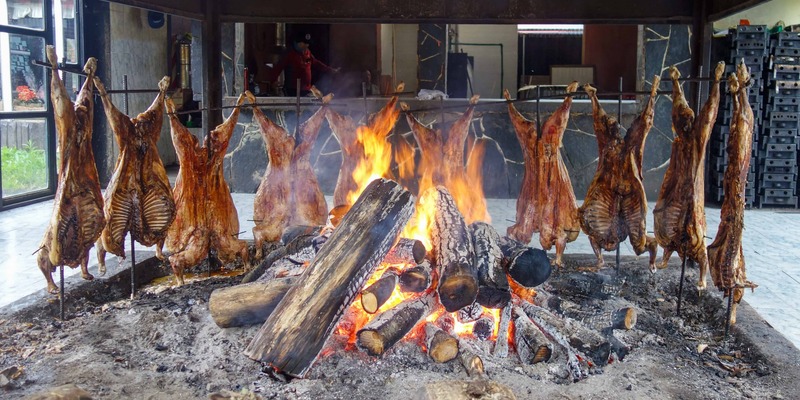 It does not come as a surprise that in a land as bare and wind-swept as Patagonia, the local specialty is meat. Vegetables have to be imported and I have seen more than one crate of mouldy peppers in supermarkets. The lamb, on the other hand, is regional and a dish that you should not miss. If you visit an estancia, you might see half a dozen lambs on spikes next to an open fire, slowly getting roasted. The meat is some of the most tender I have ever had and I highly suggest you try some.